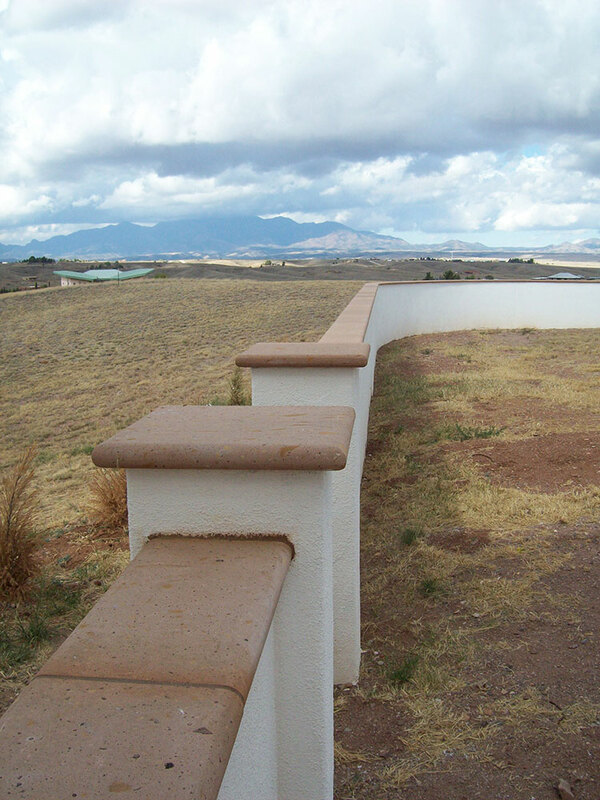 Masonry Walled Yards - Symphony Structures, LLC. 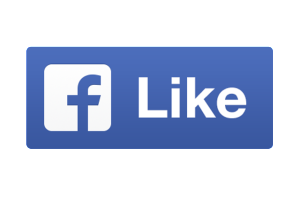 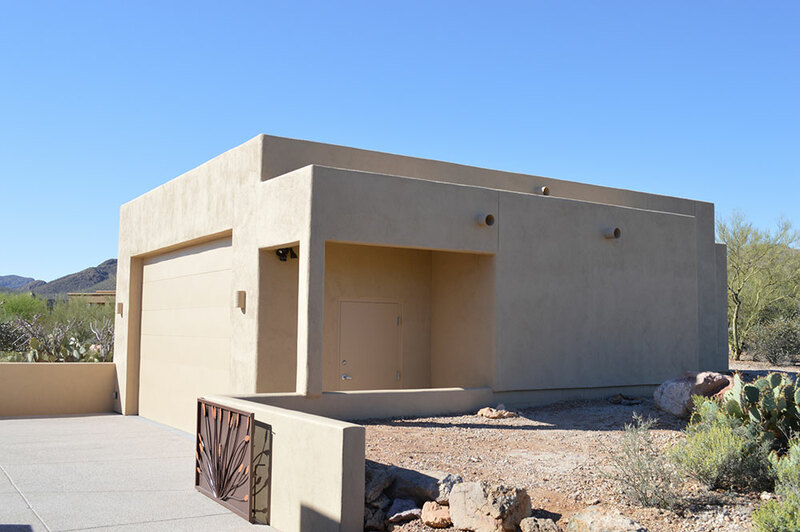 | Symphony Structures, LLC. 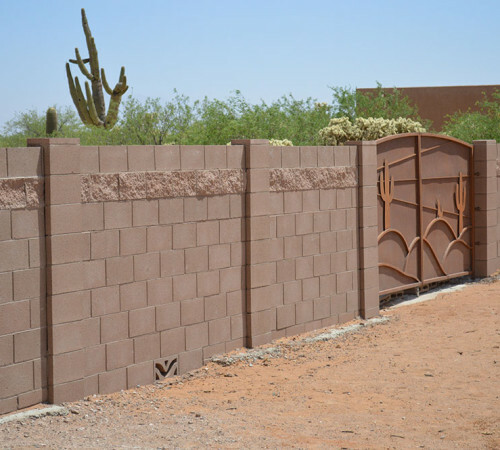 Masonry Walls are built in order to define your yard space. 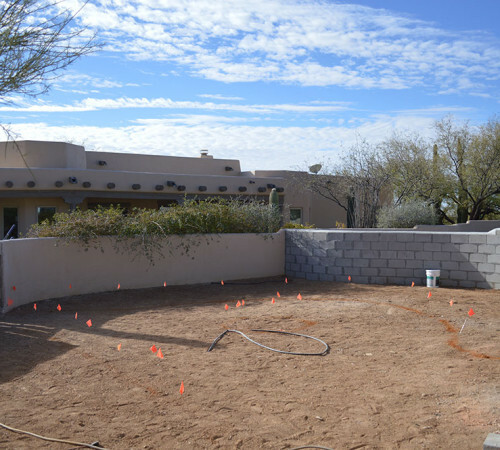 Building a wall vs. installing fencing can help to keep those unwanted critters out of your space and help to keep the kids safe when playing outside. 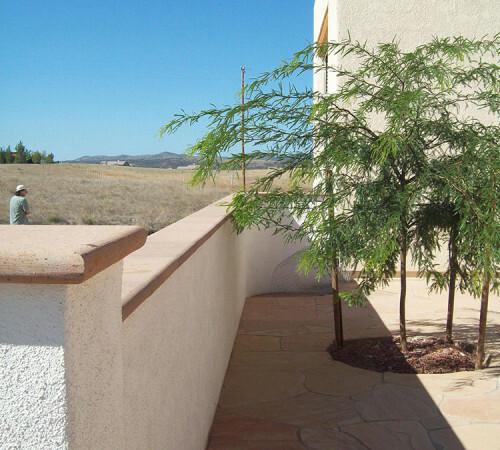 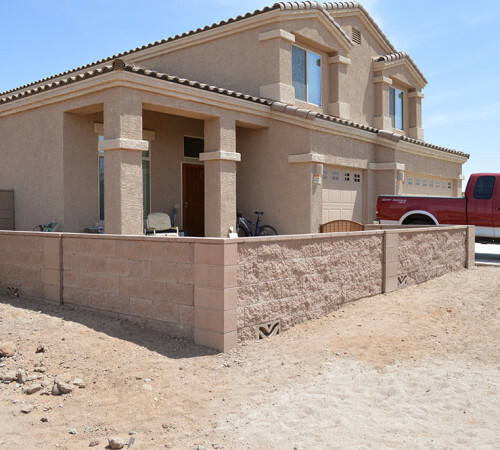 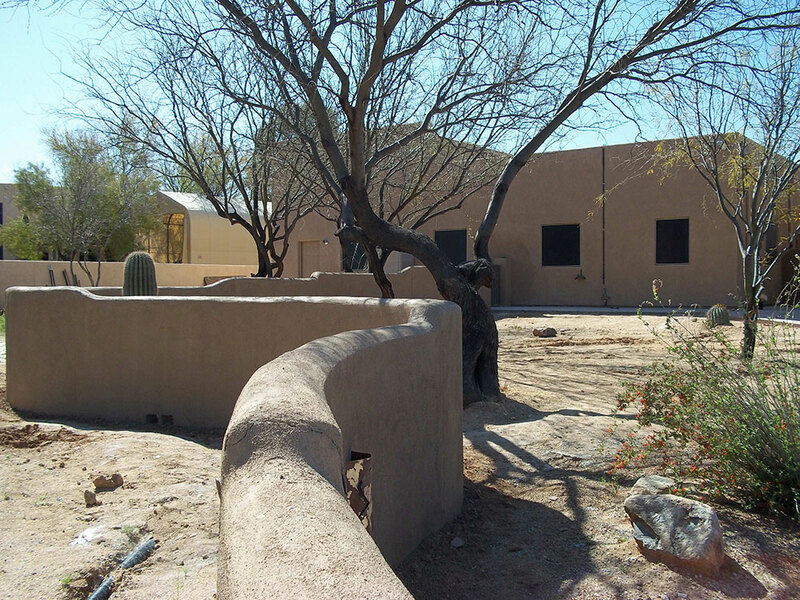 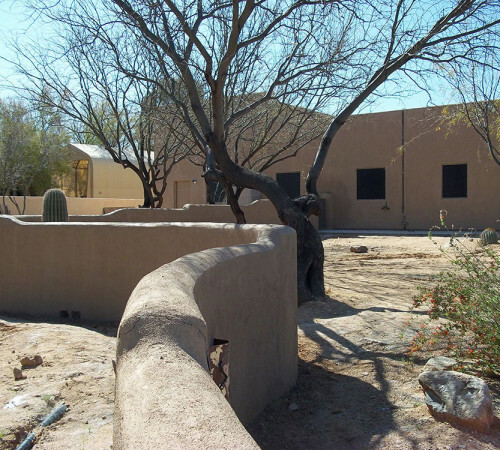 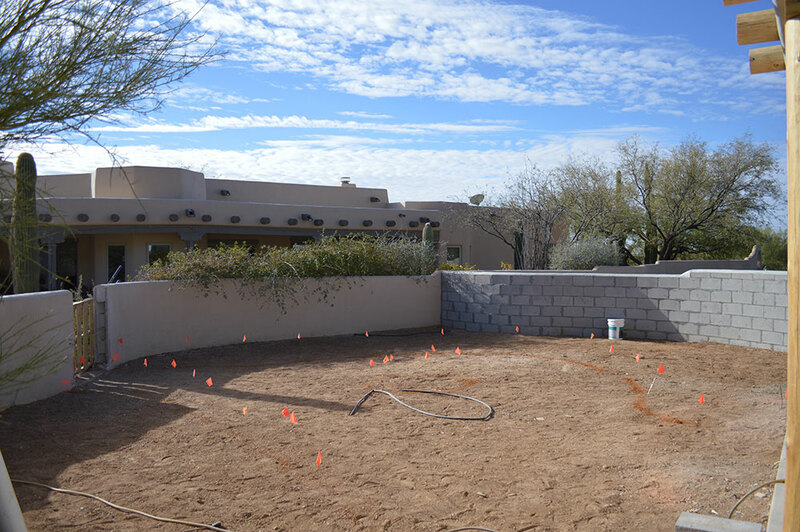 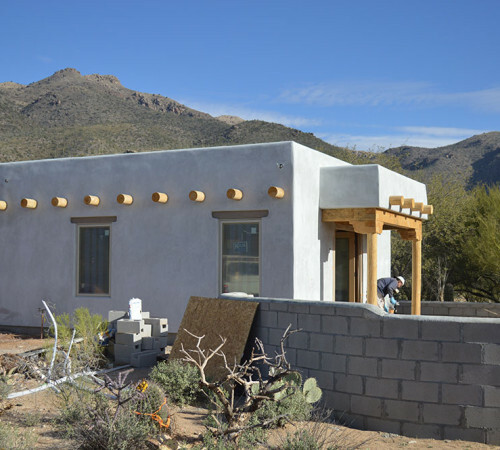 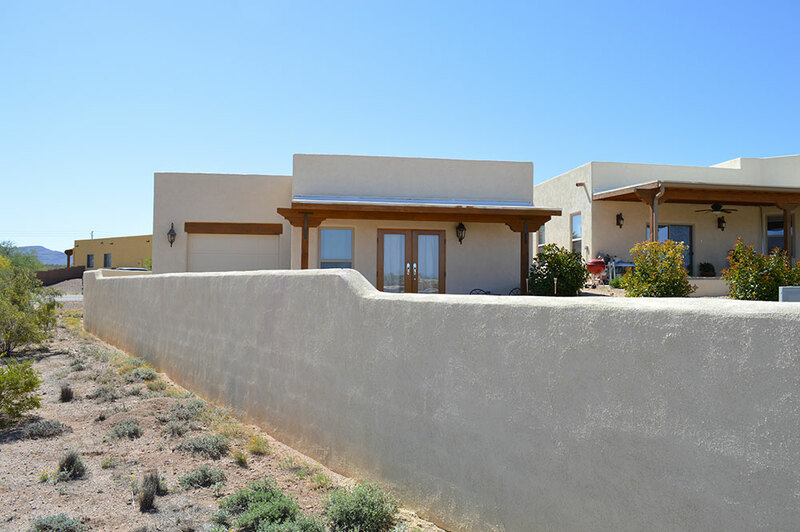 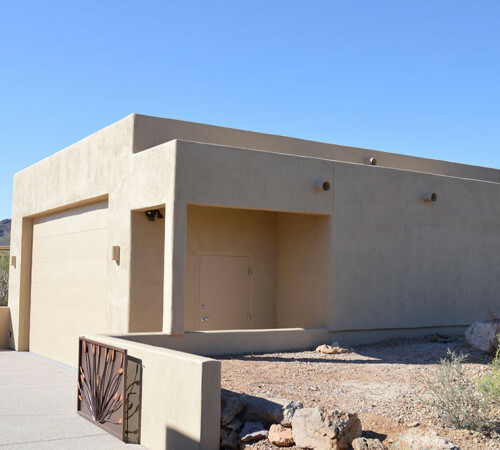 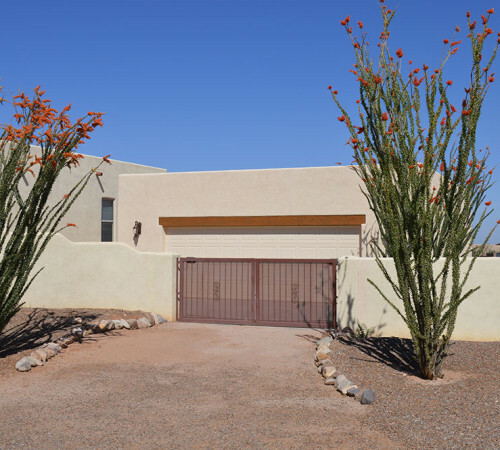 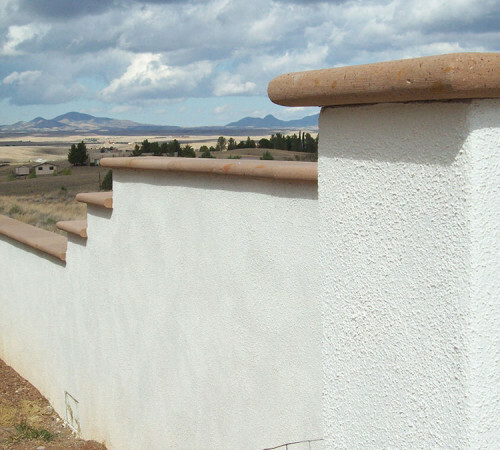 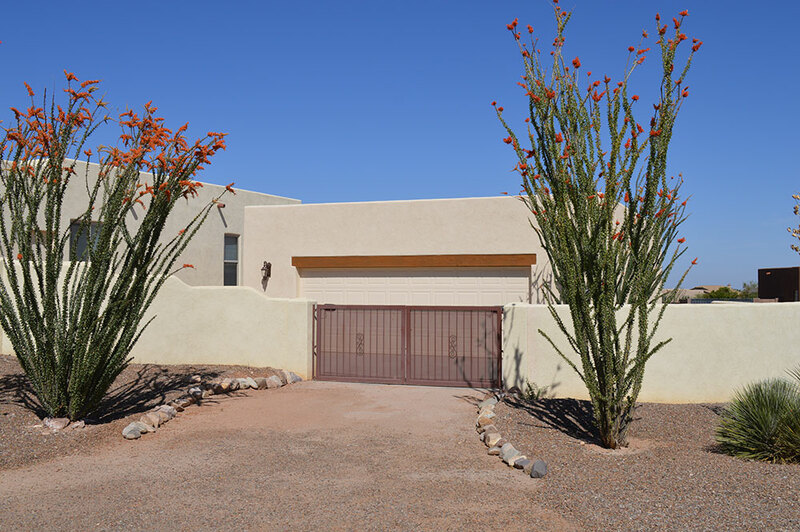 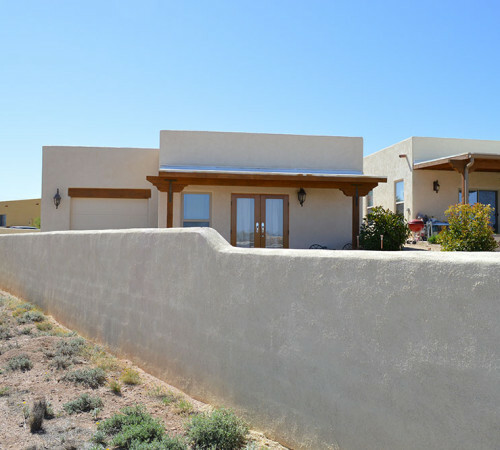 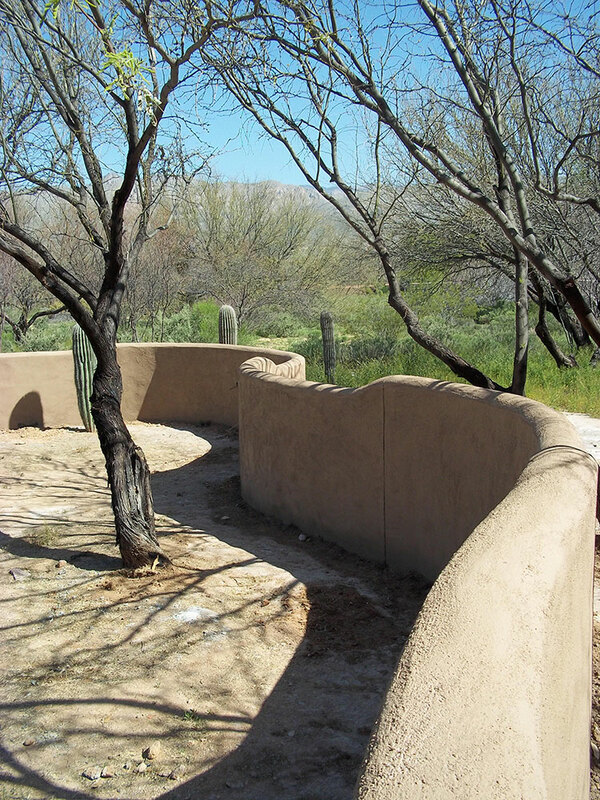 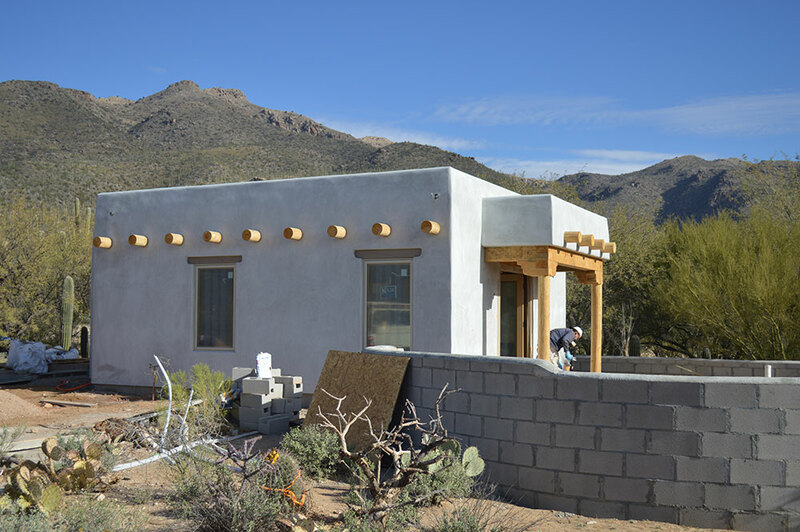 Masonry walls can be built up to your property line and if the wall is kept within the guidelines for wall heights, then an engineering stamp will not be required by Pima County Development Services. 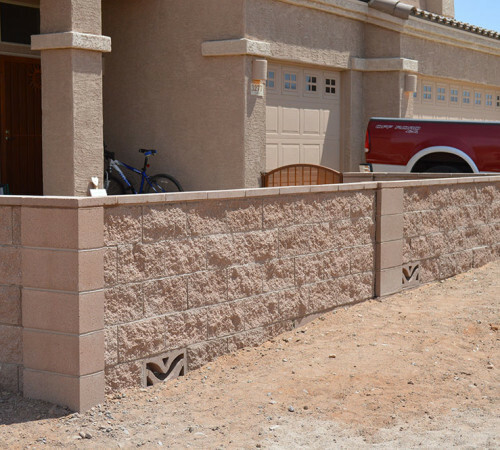 Obtaining a wall permit is simple and less than $100 for the entire project. 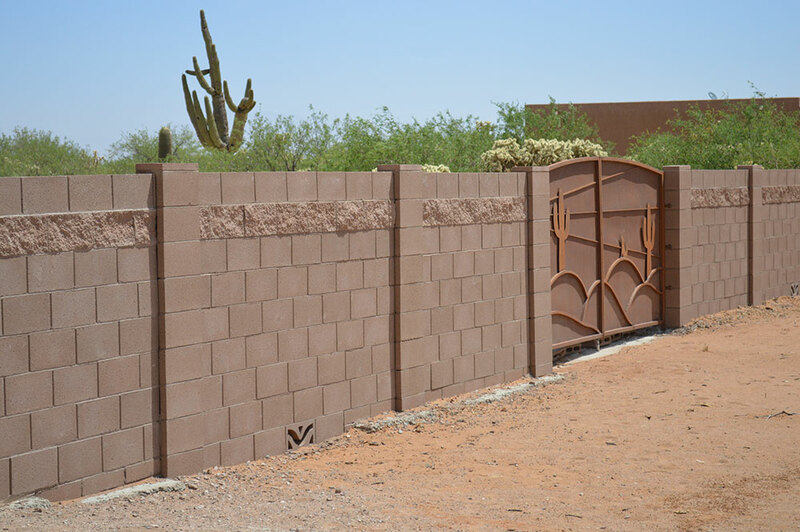 Masonry walls can range from something simple like inter-locking block to pretty much any material you’d like to install. 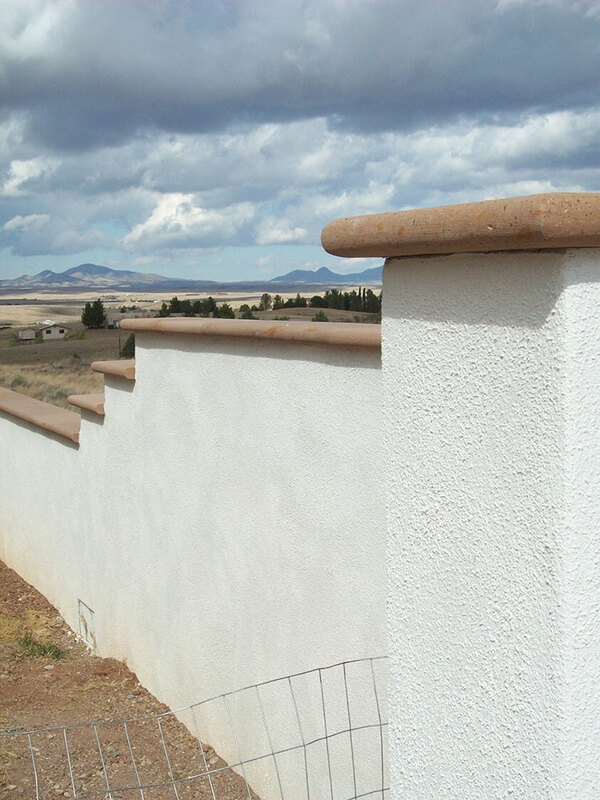 Nice “split-faced” block can add a nice texture and feel to your project, whereas 8x8x16 CMU Block can be installed and have a nice matching coat of stucco over the block work before adding paint to finish off the project. 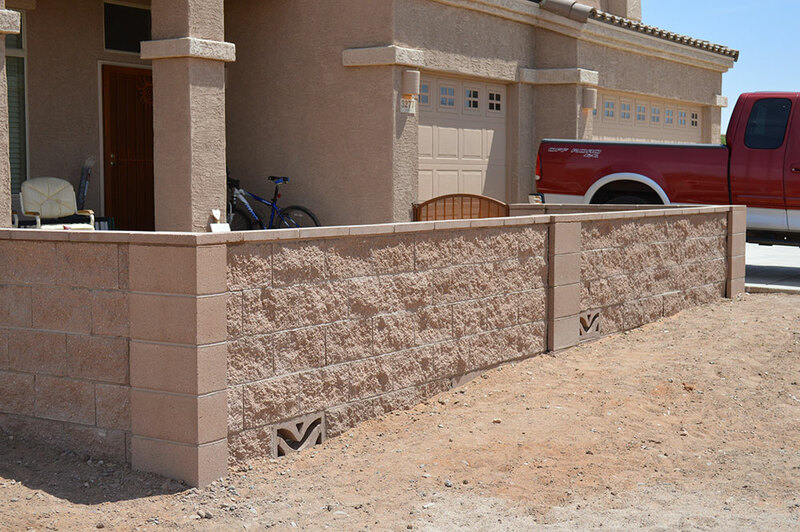 Please keep in mind, when defining your yard, you may be required to have flood venting installed at the bottom of your wall to prevent water from backing up against the wall, which can cause tremendous problems with the footings over time. 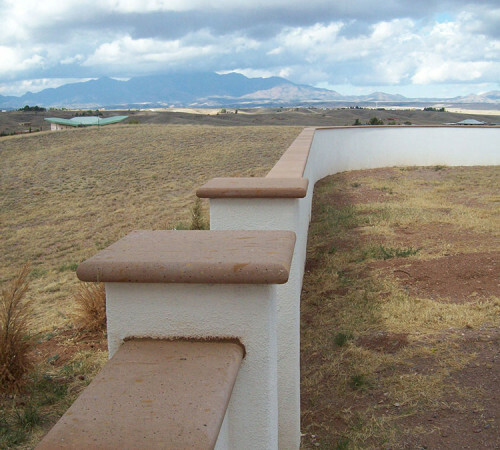 A good rule of thumb would be to not disturb the natural flow of water through your yard. 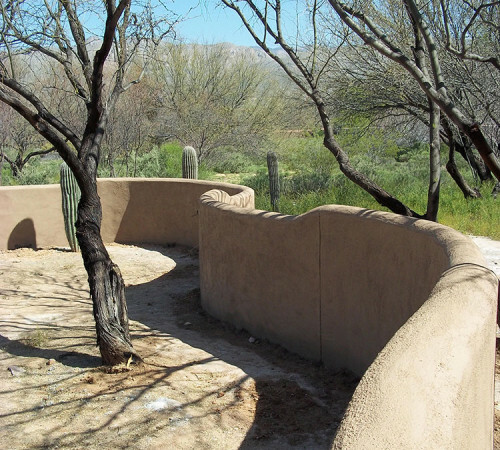 I get a lot of customers saying, “But what about the snakes and rats getting through the wall?” That can easily be solved by installing “snake screen” within the openings. 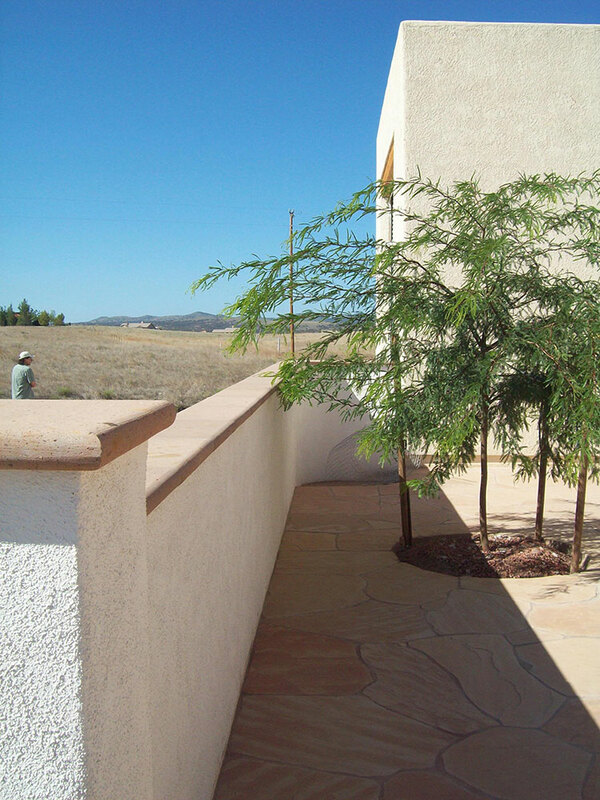 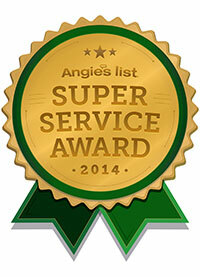 Every yard and every client has special requirements for their yard. 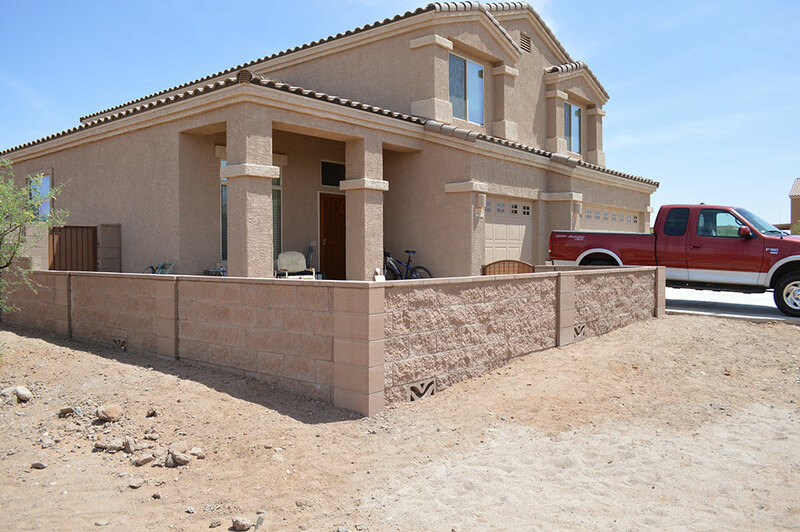 When it comes to dreaming up a nice defined yard, call Symphony Structures for a free estimate on your home improvement project.